Whew, back to normal after two long weekends of jazz festivals. Although what is "normal" on the local jazz scene? There seem to be more and more options, even as some old favorites disappear. We mourn the decision to discontinue music at Fireside Pizza, another casualty of ASCAP/BMI licensing fees. Hopefully Denny Malmberg and Charmin Michelle will be able to continue their long-running (and marvelous) collaboration elsewhere. Maybe professional licensing organizations should consider the difference between music in a small venue such as a bar or pizza parlor versus Carnegie Hall or Birdland? Meanwhile, we still have plenty of those small venues as well as larger music spaces that are managing fees or hosting all-original music. 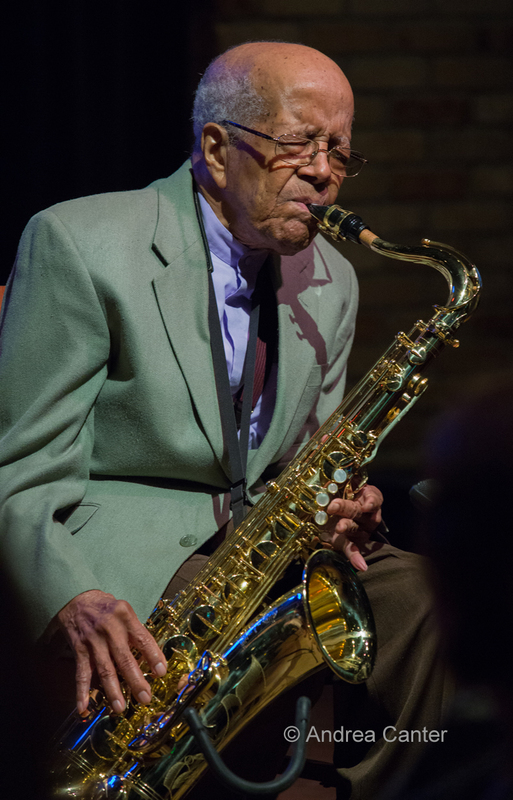 This week we can enjoy the ongoing jazz series at Jazz Central, The Nicollet, Black Dog and Studio Z, the long-awaited opening of Vieux Carré in the old Artist Quarter space, the first Edina Jazz Festival, the St. Croix Vineyards Jazz Festival, a visiting saxophonist playing two venues, a too-rare appearance from one of our veteran guitar trios... and there's always more. Friday, July 10. Anytime Irv Williams is on the bandstand, it is a "big gig." Earlier in the week, Irv celebrated what he (again) asserts will be his final recording, Pinnacle. 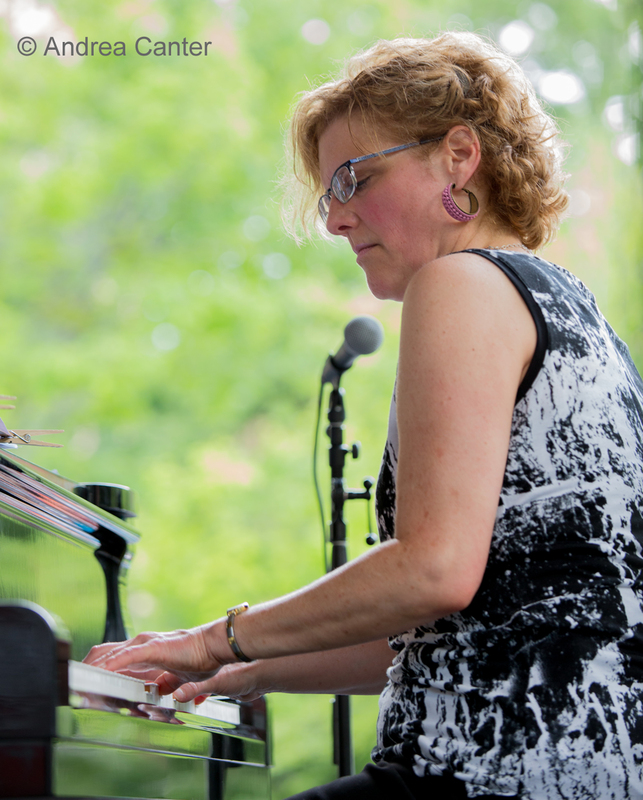 But he isn't retiring from the Happy Hour gigs at the Dakota, which this week features pianist Mary Louise Knutson. Jazz Central offers a unique double-header. Leading off as part of the Bridge Series will be Milwaukolis, a blending of Twin Cities and Milwaukee musicians-- local powerhouse saxophonist Nelson Devereaux and his Milwaukee pals, Cody Steinmann on guitar and Paul Westfahl on drums. The compositions will come from the three musicians, drawing on modern inspirations such as hip-hop and rock. 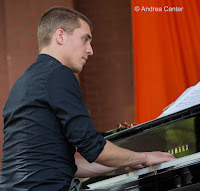 The late show features a trio led by 17-year-old pianist Jordan Anderson, with his slightly older cohorts-- Charlie Lincoln on bass and Ben Ehrlich on drums. Jordan has been performing with area ensembles (Walker West, Dakota Combo, PipJazz) since he was 13, and will be leaving for Berklee College of Music summer program in Boston right after this gig. 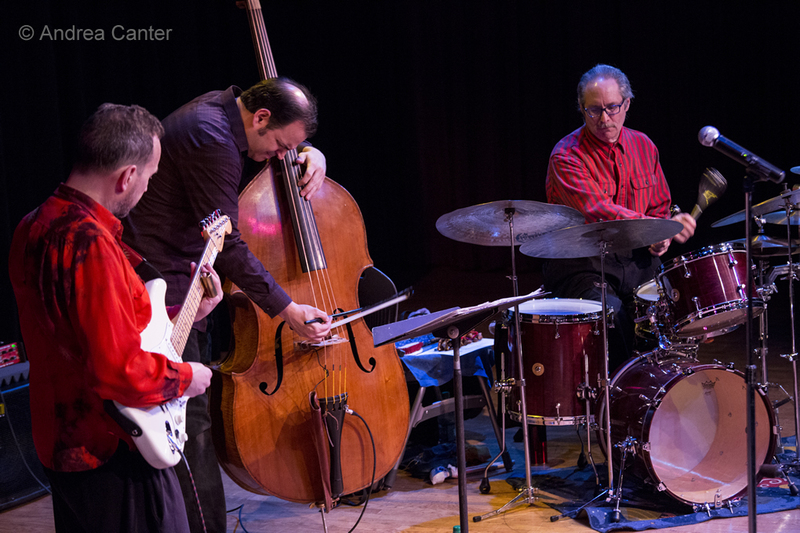 At The Nicollet, it is a return engagement for Dean Granros' Tall Tales, a double guitar quartet featuring Granros and Zacc Harris, along with Chris Bates and Jay Epstein. This band formed less than a year ago and has quickly gained a substantial following as well as releasing what should be regarded as one of the year's top recordings. The repertoire includes original Granros tunes as well as nods to Mingus, Monk, Coleman and more. For some outdoor family fun and terrific music, check out Kelly Park in Apple Valley, where their weekly music series presents Patty Peterson and Friends. It's free, it's a lovely suburban park, and you can't beat Patty and her friends for an evening of song. Another option--and no cover-- is an evening at Crooner's Lounge, where Judi (Donaghy) Vinar settles in with one of her favorite sources of support, the Wolverines Quartet (Rick Carlson, Steve Pikal, Jendeen Forberg and Doug Haining). And if you happen to be near Bemidji, vocalist Charmin Michelle and guitar ace Sam Miltich are performing at Brigid's Cross Irish Pub. Things will be swinging in Bemidji tonight! Saturday, July 11. It's a "soft opening" at Vieux Carré tonight as downtown St. Paul celebrates Bastille Day. 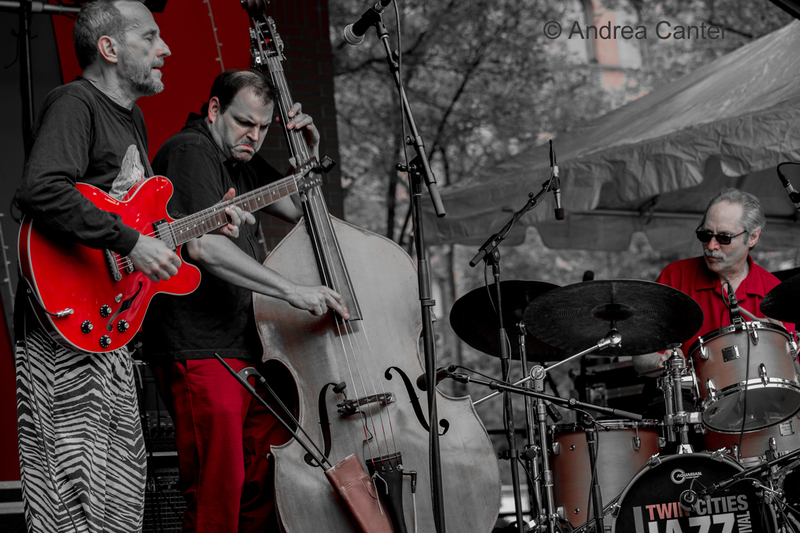 There's music from 2 pm on the West 7th Place ped mall, with a special "preview" night at VC featuring Connie Evingson and the Parisota Hot Club. It's the old AQ space with a new "speakeasy" vibe. There are at least two winery-based jazz festivals this weekend. 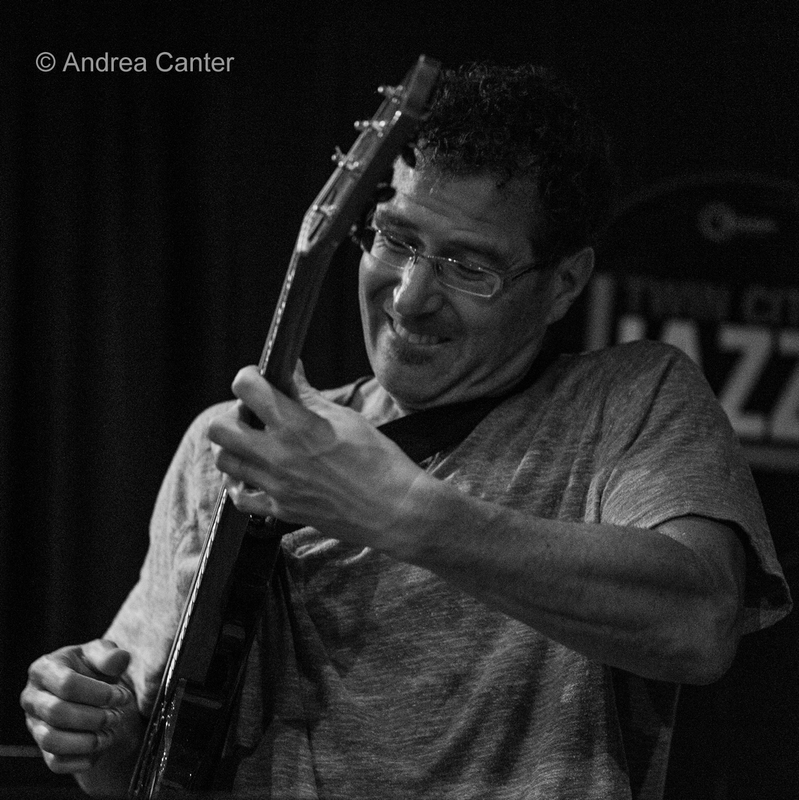 The 3rd annual St. Croix Vineyards Wine and Jazz Festival takes place outside of Stillwater from noon til early evening with a first-class line-up: Javi Santiago Quartet, Noon; Andrew Walesch Trio Featuring Adam Meckler, 1:30; Kevin Washington Quartet, 3:00; and Doug Little's Seven Steps to Havana, 4:30. And across the border into Wisconsin, it is the first Jazz in July festival at the Dragonfly Winery in St. Croix Falls, featuring an afternoon with Patty Peterson and Friends. Dinner sets at the Icehouse typically feature a pianist/bass or guitar/bass duo, and tonight the piano bench will be filled by young Turk Javi Santiago, joining forces with veteran bassist James Buckley. With no cover and a very inventive (and tasty) dinner menu, the Icehouse is often the jazz bargain of the weekend. Saturday Night Jazz at the Black Dog is always a good bet, and tonight features the Black Dog debut of Laura Caviani and her trio. It seems Laura has played everywhere but this is a first. And helping mark the occasion will be long-time cohorts Gordy Johnson on bass and Jay Epstein on drums. Count on some Monk as well as original music. And come early, the opening set features King/Fletcher/Woods, aka Jeff King, Charles Fletcher and Eron Woods, three veterans also making their Black Dog debut. Out in the west burbs, you can hear a youthful trio at the 318 Cafe. Minnetonka High School senior Will Schmid plays a cool guitar with pals Tyler Wagner on bass and Jesse Thorson on drums. The 318 is a cozy bar and cafe with a perfect vibe for a warm summer night. Like the music. Want a jazzy nightcap? 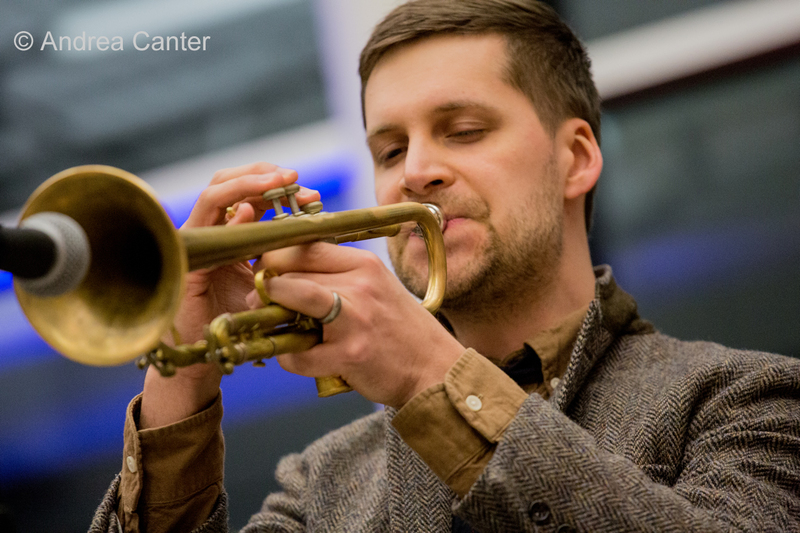 Tonight (and every Saturday night during Sommerfest), pianist Chris Lomheim plays a solo set in the Target Atrium of Orchestra Hall. The Atrium is a superb setting for such music, and you can't beat the view of Peavy Plaza and Nicollet Mall. Or the sounds of Lomheim's solo piano. Sunday, July 12. Yet another community jazz festival launches tonight, with the Edina Jazz Festival at Centennial Lakes Park. Taking place in the Maetzold Amphitheater and Hughes Pavilion, artists include vocalist Dan Ristrom, the New Orleans-style Midnight in Moscow, and (again!) 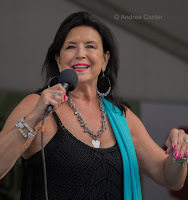 vocalist Patty Peterson. Monday, July 13. If you missed Jacob Teichroew at Jazz Central, you can hear the New York saxophonist and his band tonight via JT's Jazz Implosion at the Icehouse. 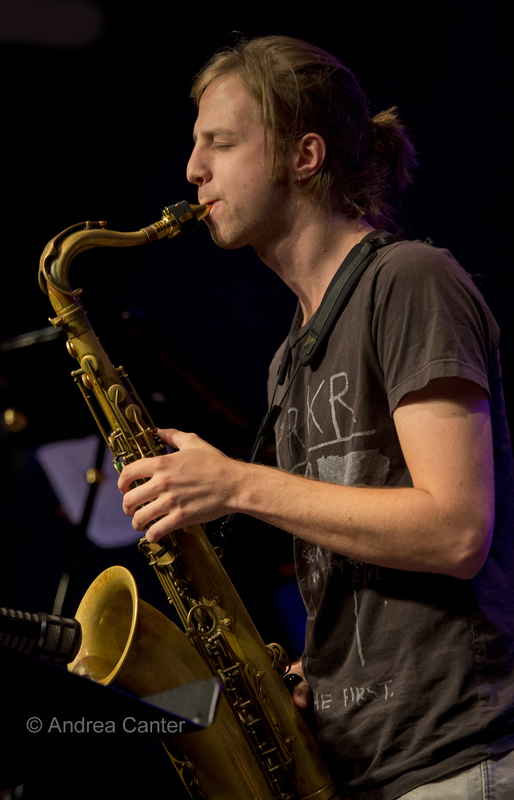 Jacob's music reflects the diversity of his mentors in classical music as well as jazz (he studied with Antonio Hart and Vijay Iyer). 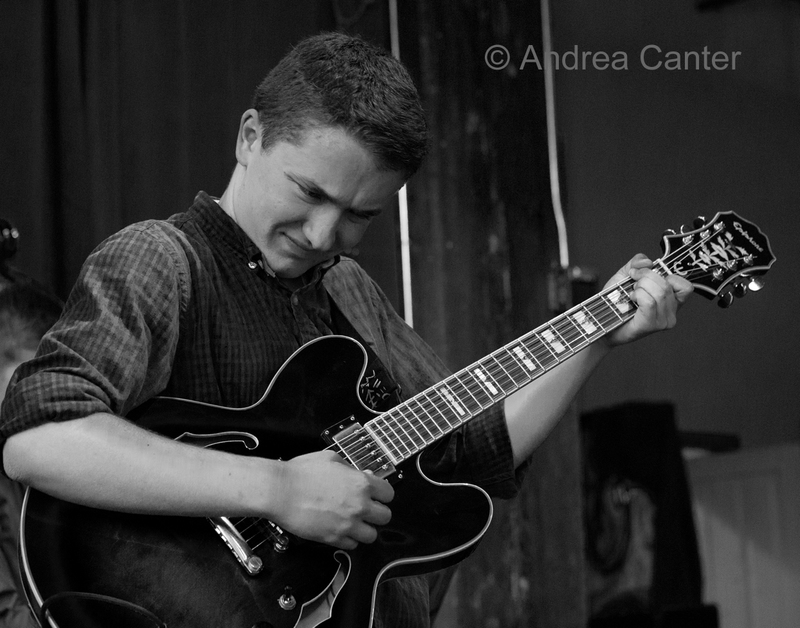 Sitting in with his quartet tonight will be locals Adam Meckler and Charlie Christenson. Tuesday, July 14. It's the public grand opening of the Dakota's new club, Vieux Carré, in the Hamm Building, downtown St. Paul, and the schedule calls for jazz every Tuesday and Friday featuring local standouts. And it is the look of the future tonight as the opening artist is young vocalist Katia Cardenas. 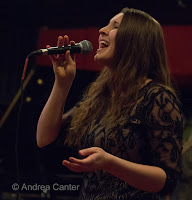 Katia has already appeared at Jazz Central, the Dakota and other venues, rounding up a growing fan base with her wide-ranging repertoire -- she can cover Ella Fitzgerald and Billie Holiday, but also seems equally adept at modern folk/pop/blues. Joining her tonight for three sets will be a band of young monsters-- Kevin Gastonguay on keys, Ted Olsen on bass, and Zach Schmidt on drums. Notes Katia, "It will be an amazing night of live jazz, with a few fun r&b and blues tunes thrown in! We are so grateful to be a part of the future of this music institution." In Lowertown, it's the monthly Chris Olson Project at the Black Dog. Olson's guests tonight include bassist extraordinaire Chris Bates and young drum master Cory Healey, playing unique arrangements of rock classics by Jimi Hendrix, Neil Young, The BeeGees, Elvis Costello and more. Bates tried out some of this music at Jazz Central last month and the arrangements are ear-bending. And cool. At the Dakota, Charmin and Shapira and Friends host a Foodie Night, meaning no cover to hear this polished and swinging ensemble. Wednesday, July 15. Maybe the Pete Whitman X-Tet has found a new home! 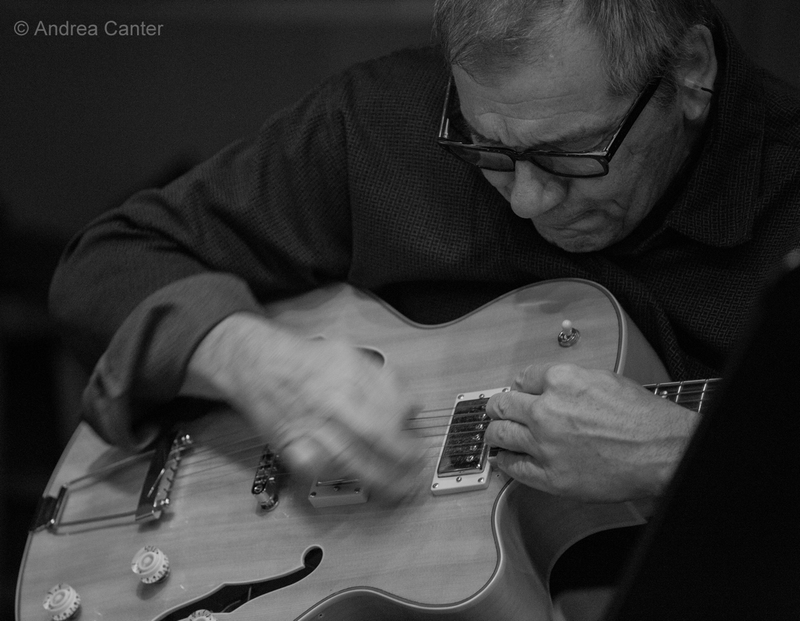 The X-Tet returns to Jazz Central on "new music night" after their stellar June gig. The band played nearly monthly at the Artists Quarter through 2013, and perhaps we can anticipate a similar regularity at Jazz Central? It's a unique ensemble with vibes and plenty of horn power, featuring the top musicians in the metro. At Vieux Carré, enjoy favorites from A Prairie Home Companion as New Shoes (Gary Raynor, Rich Dworsky and Peter Johnson of Guy’s All-Star Shoe Band) continue opening week music. Thursday, July 16. 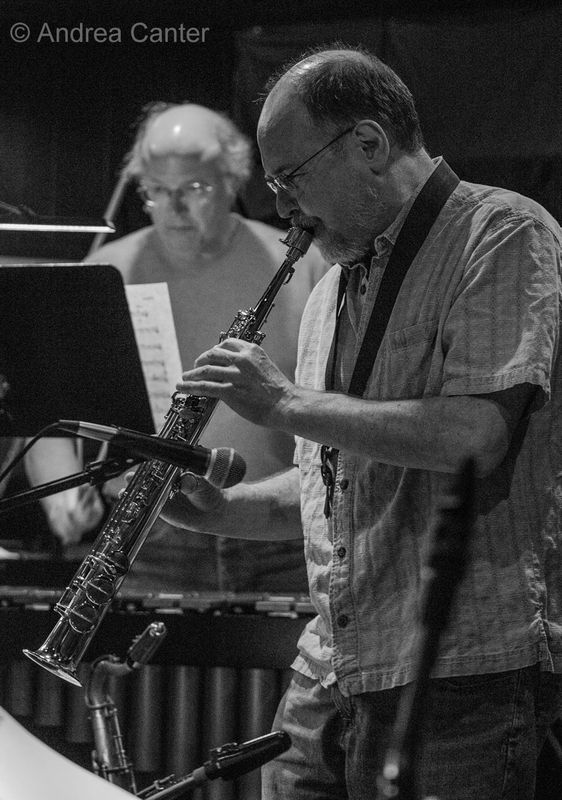 Steve Kenny and Illicit Productions continue to reign as producers of local jazz series. The second summer season of All Originals at Studio Z continues tonight with Red Planet. 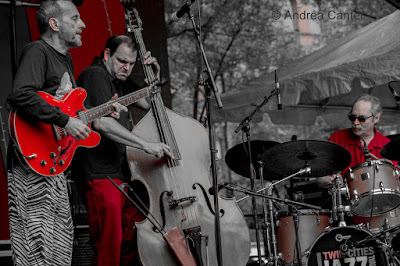 Dean Magraw, Chris Bates and Jay Epstein have entertained with the trio's highly accomplished high-wire jazz for more than a decade, and the intimate studio setting of Studio Z is a perfect atmosphere for some of the most sophisticated modern music in the region. 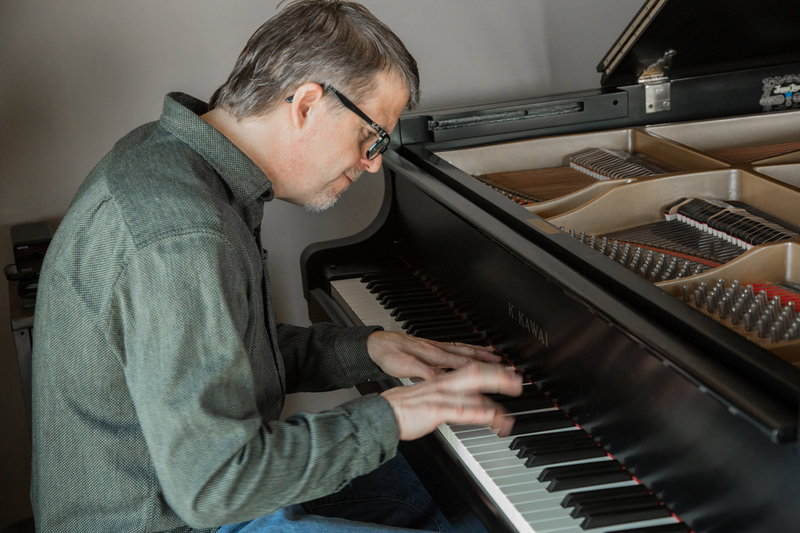 At Vieux Carré, the new club is wasting no time booking the best of local jazz-- tonight the Chris Lomheim Trio takes the stage, with Gordy Johnson and Reid Kennedy backing the elegant pianist. 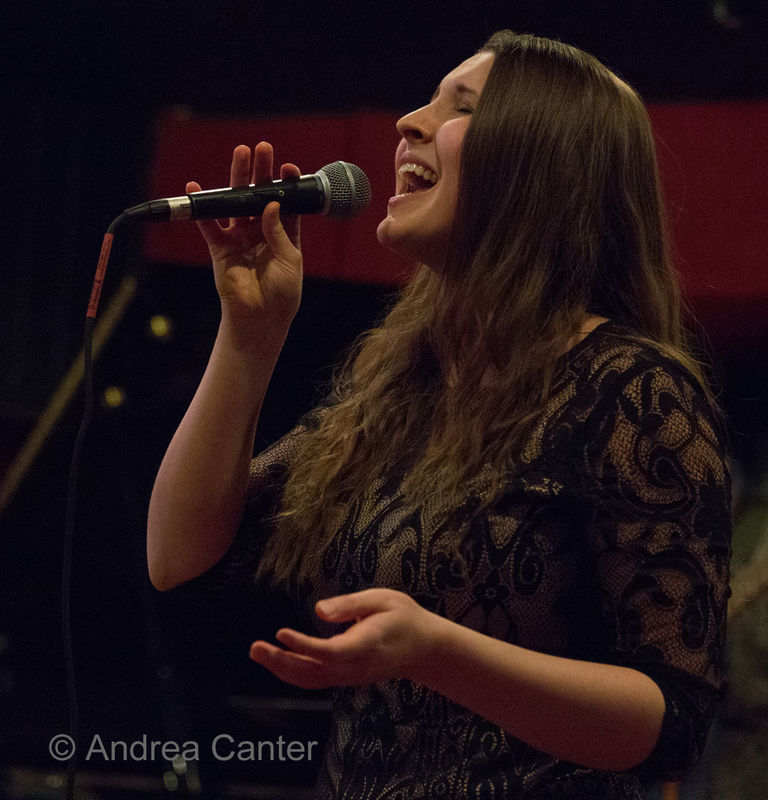 For vocal night at Jazz Central, check out Charlie Christenson, head of the Voice Department at McNally Smith. Charlie has worked with such stars as Theo Bleckmann and Kate McGarry, and peforms with the McNally Smith Faculty Vocal Quartet.